Jack Black Moisture Therapy Lip Balm in “Black Tea and Blackberry” – amandarobots. Gel or jellyish formulas, however, I’m good with. That explains why I love the Smith’s Rosebud Lip Salve so much. As much as I say that I’m never going to try another lip balm again, I can’t help it. So here I am. I picked up the Jack Black Moisture Therapy Lip Balm in “Black Tea and Blackberry” in the Sephora sale. It was a recommendation from Temptalia, who raves about it, but because my lips are so picky, I wasn’t expecting much. Boy, was I wrong. It’s moisturizing! It doesn’t make my lips flake and peel, and it doesn’t feel like it’s just sitting there greasy on my lips like fried chicken grease! And the smell! I love the smell of tea, so the scent on this one is bang on and so lovely to me. Plus, it was only $9 for a tube. 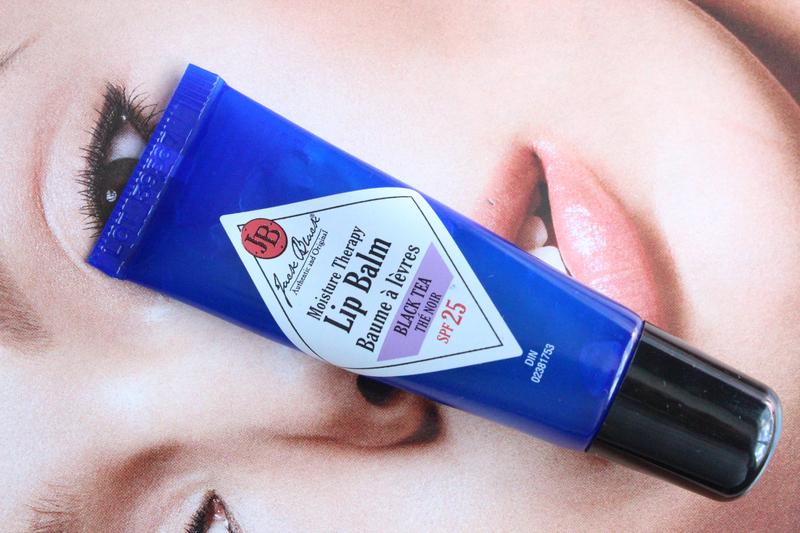 Compared to the $30 for the Dior one, this one is easier on the wallet AND better on the lips. Love it.